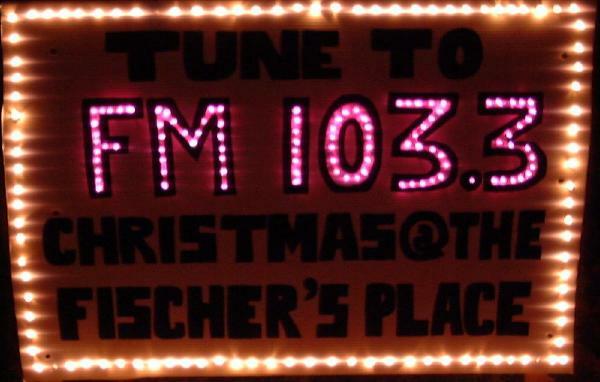 We use home-built signs to let visitors know about our our Christmas Radio station, as well as our website. 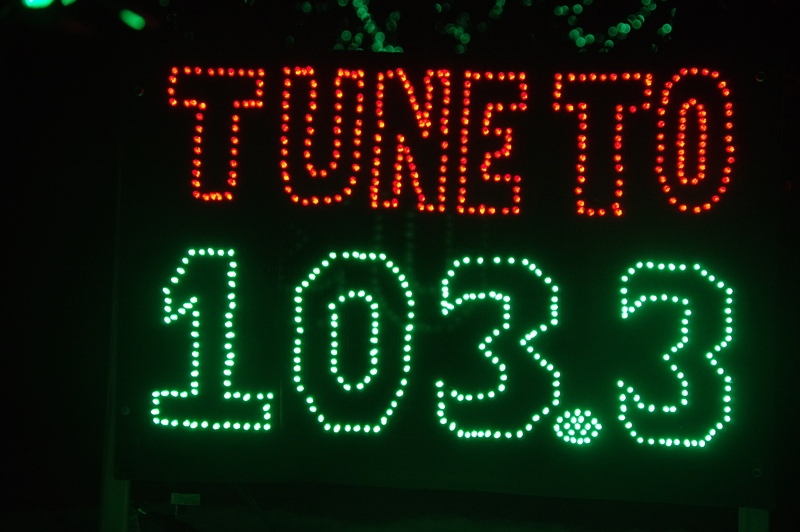 These signs are made out of corrugated plastic, a light yet durable material. One of the nice properties of Coro is that holes can be poked through with an awl and lights easily poked through the holes. 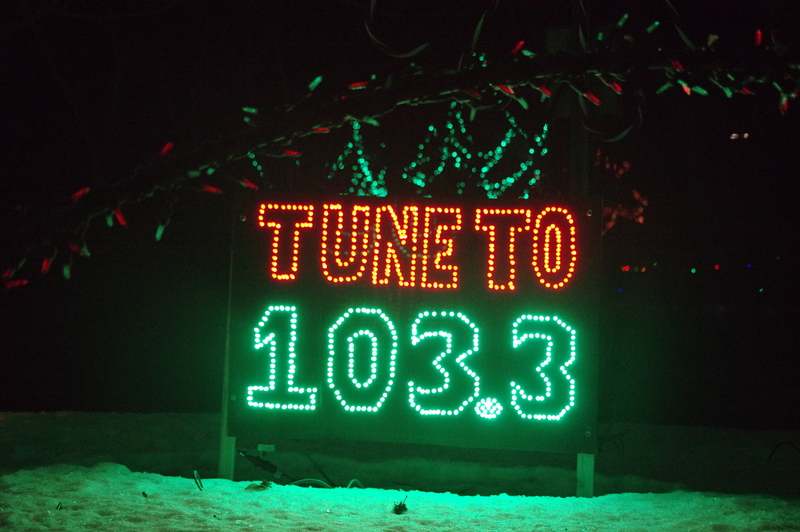 In 2014 we created two new LED signs to let visitors know what FM frequency to tune to. 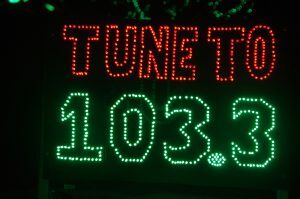 They use black coro with red and green LED lights and are very visible from the road. 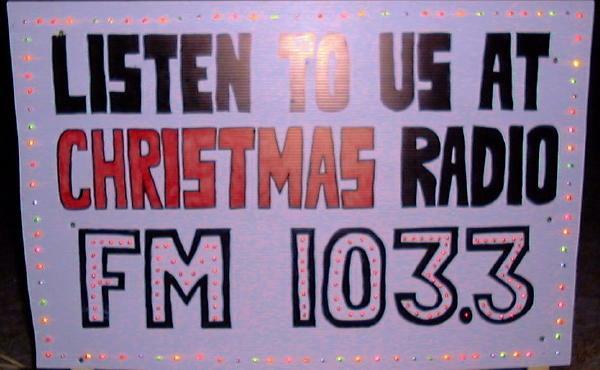 Prior to that, we used these signs, created in 2002, to let visitors know about our Christmas Radio station. 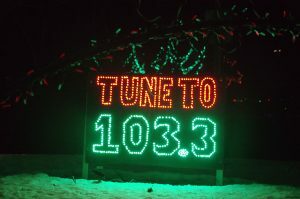 Another sign, added in 2003, sends folks to this website. It looks better in person than it does in this picture! During the 2002 season, we had a sign directing folks to our family website we had at the time, which also hosted our Christmas content before we had the PlymouthLights.com domain. 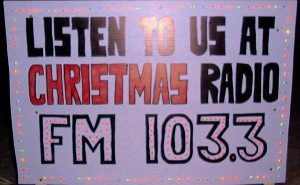 (The picture below, taken with our old digital camera, doesn’t make it look very good). 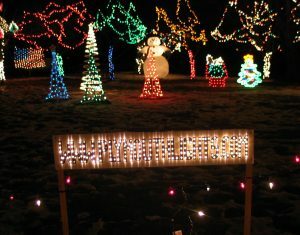 Eventually this became the web home of Tim’s side software projects.